A large part of having a healthy relationship with another depends on our relationship with ourselves. This workshop helps participants reconnect to self, through exercises relating to their self-talk, fostering self-compassion and self-love. Participants will also reflect on their wants and expectations in a relationship. 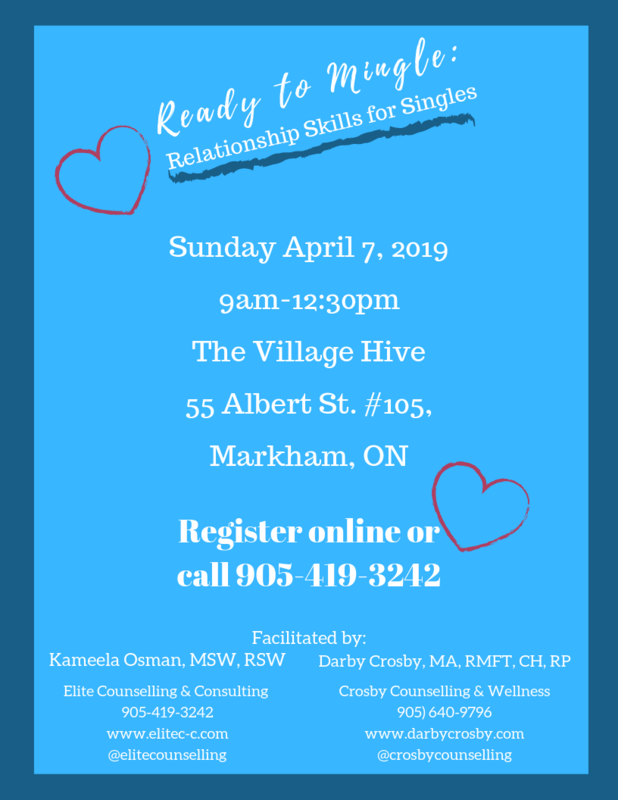 Beyond that the facilitators will be sharing known relationship stumbling blocks and how you can overcome them to help create a lasting relationship. 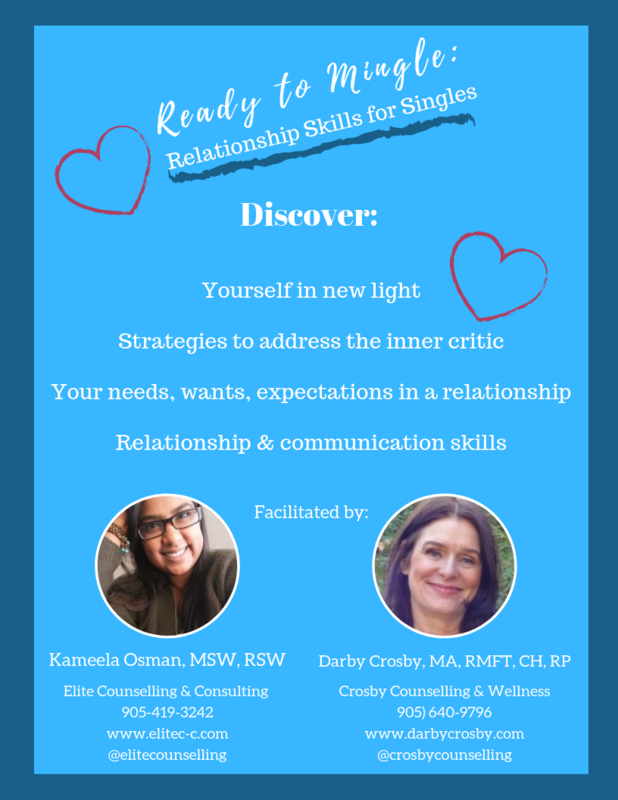 The content is adapted by Darby Crosby and Kameela Osman, from Dr. John Gottman's The Seven Principles for Making Marriage Work Workshop and infused with learnings form their joint decades in the field of psychotherapy. Registration CLOSED for April 7th, 2019. Sign up for the Newsletter to stay updated on new workshops/upcoming events. Plus get access to special offers, free mini blogs, insights from the therapy room and life in-between. We all come with baggage. Unexamined, we may be holding on to weight we no longer need, or allowing past experiences to determine our current and future reality. Take time to engage in prompted reflection on personal baggage and consider impacts on intimate relationships with a partner/spouse.